The third and fourth playoff game may seem like an event that no one wants to be at but the fans in Madrid were served up to an excellent game, with CSKA Moscow showing that they have the strength and fortitude to bounce back from defeat. Many people would say that CSKA Moscow were the best team over the regular season and Top 16, but we all know that if you want to lift the Euroleague crown, you need to turn on your form at the end of the campaign. The Russian side suffered a cruel and narrow defeat on Friday night to Olympiacos Piraeus, but in this game, they showed that they had more than enough about them to blow their opponent away. It was an extremely strong first half from the Russian side and while Fenerbahce battled back into the game in the second half, CSKA Moscow remained in control and never looked likely to fall to their second defeat of the Final Four weekend. 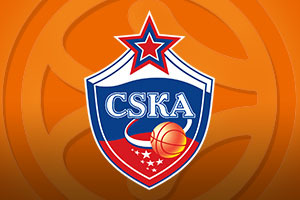 CSKA Moscow started strongly, leading 13-27 at the end of the first quarter and then outscoring Fenerbahce by a score of 11-21 in the second quarter, leaving a half-time score of 24-48. The third quarter saw the Turkish side battle back, leading the quarter 31-18, taking the score to 55-66. The Turkish team also finished the game strongly, outscoring the Moscow side 25-20 in the final quarter but in the end, the first half showing by CSKA Moscow made the difference and the Russian side took third place again at the Final Four. Nando De Colo was the leading player for points for CSKA Moscow, serving up 17 points in just over 21 minutes. Demtris Nichols provided 14 points while Aaron Jackson followed up his record breaking evening on Friday with 12 points and 6 assists in this game. Sasha Kaun delivered 9 points, as did Vitaly Fridzon, while Kyle Hines provided 8 points for the Russian side. Andrew Goudelock was the main man for Fenerbahce, offering up 24 points during the game. Nemanja Bjelica was able to provide 18 points for the Turkish side while Nikos Zisis served up 12 points. Bjelica also picked up 10 rebounds, affording him a double-double in this game. These players were the only three Fenerbahce players to reach double figures with Semih Erden, Bogdan Bogdanovic, Luka Zoric and Jan Vesely also getting on the score-sheet for the losing side. Both teams will need to go away and lick their wounds over the summer months, and then get ready to try for Euroleague glory again. It may be that Fenerbahce will be the team that was just happy to be involved at the Final Four but once you get a taste for the big events, you want to come back time and time again. As for CSKA Moscow, they know that they are a fantastic basketball team, but they need to work on getting across the line at the major events.